If you only have one day in my lovely home town of Weymouth, I want to help you make the most of it. So I’ve put together this guide to the top things to do in Weymouth. More and more cruises are stopping in Portland Harbour (which is right next door). 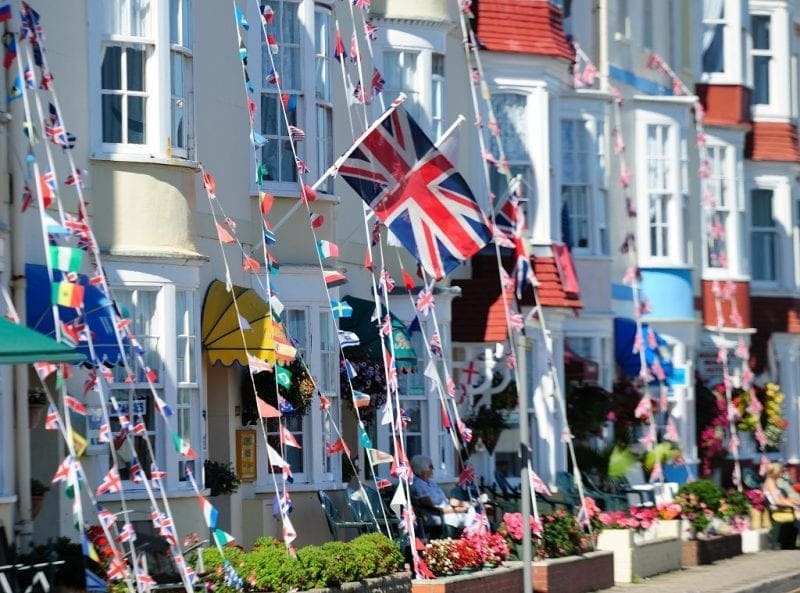 So there are plenty of people who only have one day to explore this beautiful, traditional British seaside town. Whether you’re on a cruise layover, or simply taking a day trip, there’s so much to discover in my home town. And what better way to do that than with top tips from someone who really knows? 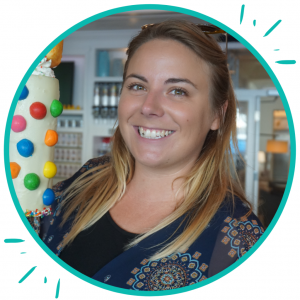 I was born and raised Weymouth – and though I moved away at eighteen, it’s still home, and I go back at least once a month. 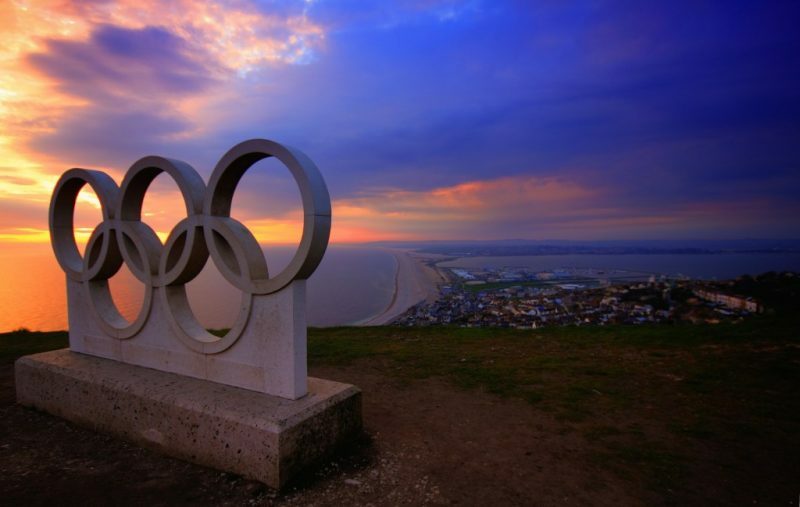 So this is an absolute local’s guide to the very best Weymouth attractions. The beach has been one of the biggest Weymouth attractions for a long time. However, it wasn’t always as popular as it is today! What put our little town on the map was King George III, who started visiting in 1789 to bathe in the sea for his health. As a result, Weymouth became an almost instant tourist hotspot. A sweeping terrace of Georgian townhouses still lines the bay today, making the esplanade a beautiful spot for a walk. One of the newest Weymouth attractions is the Jurassic Skyline Towner. It’s a 53 metre high observation tower which stands on the pier, overlooking Weymouth beach. From the top, as the observation pod rotates a full 360, you have unrivalled views of Weymouth Bay and the famous Jurassic Coastline beyond. On a clear day, you can sometimes see as far as Durdle Door. This is definitely one of the best things to do in Weymouth if you’re short on time. You’ll see a lot from up there! One of my favourite things to do in Weymouth also happens to be free! Before the beach became our biggest draw, Weymouth was a fishing town. And our historic harbour was our pride and joy. It’s still a busy working harbour, and one of the prettiest I’ve seen in England (not that I’m biased!). Mismatched, pastel painted houses line the harbour – many of them hundreds of years old. The Tudor House (open as a museum) dates from the early 17th century, for example! Any history buffs might find it interesting to hunt out the canonball lodged in the wall on the corner of Maiden Street and St Edmunds Street. It’s leftover from the English Civil War and has been stuck in the wall since 1645. Even if you’re not impressed by the history of the harbour, you’re sure to be charmed by its pretty views and traditional British feel. Cross the harbour on the traditional rowing boat “ferry” which has been running for over 60 years. Visit Hope Square and admire the stunning, red bricked, Victorian brewery there. Take a thrilling RIB boat ride around Weymouth Bay. Watch the Town Bridge being raised to allow boat traffic through. 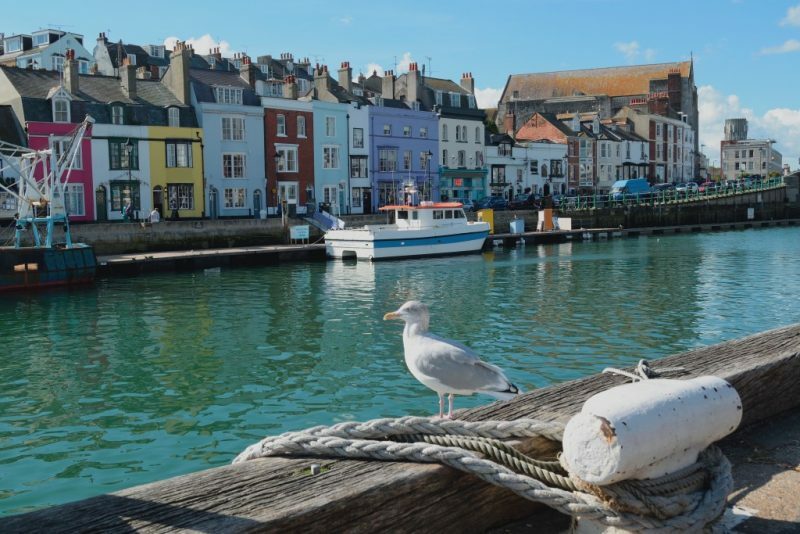 Take this self-guided history walk around Weymouth harbour. For a small town, we have a big (and pretty interesting) history! English seaside towns and fish and chips go hand in hand. So if there’s one thing you absolutely must do in Weymouth, it’s eat a hearty portion of this great British classic! 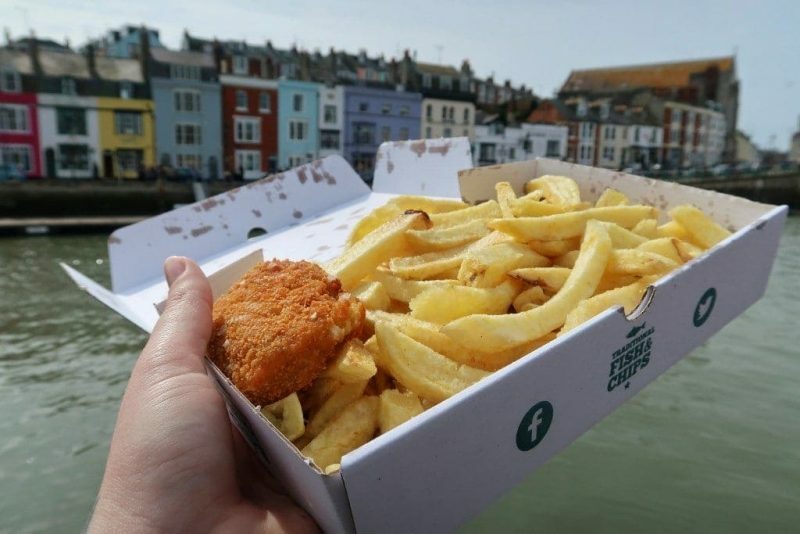 Everyone from a coastal town in Britain will tell you that their local “chippie” is the best, but I honestly think I’ve never tasted better fish and chips than in Weymouth. 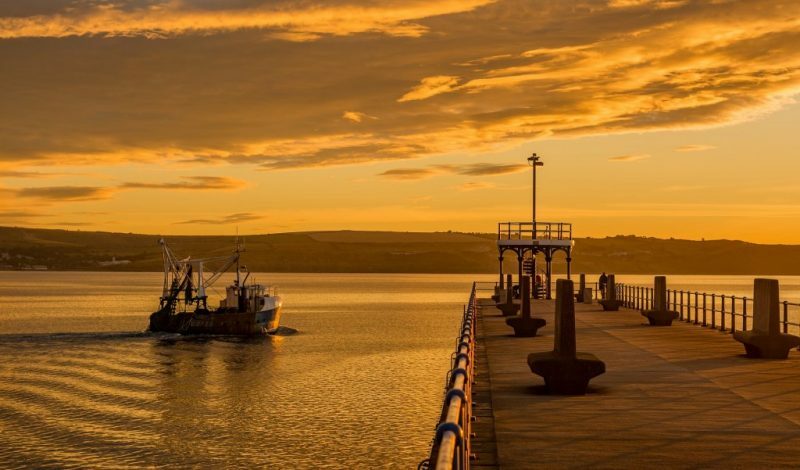 Fish ‘n’ Fritz – fresh, locally sourced fish and the best chips in town. Plus they do fantastic specials. The Marlboro – amazing fresh fish, but I’ve stopped going since they switched to crinkle-cut chips! Bennett’s Fish and Chips – really cute, seaside-themed decor and great fish and chips right on the harbour. King Edwards – I’ve not been for a while, but they were always pretty good. And the shop is in prime position right on the seafront! Punch and Judy shows were once a mainstay of the British seaside. 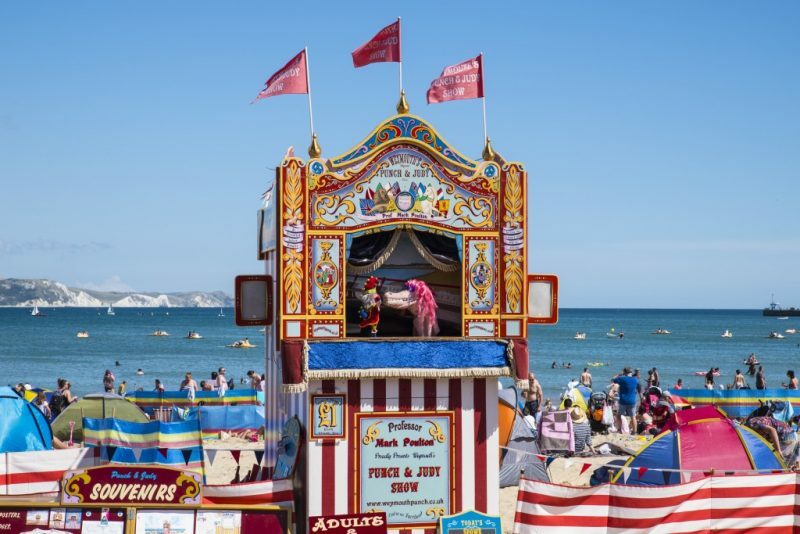 But these days they’re becoming more and more rare – and the one on Weymouth beach is one of only 3 left in the world that still performs regularly on the beach. So what is Punch and Judy? It’s essentially a weird old Victorian puppet show, following the story of naughty Mr Punch and his long-suffering wife Judy. Although the story varies quite a lot, it’s usually something along the lines of: Mr Punch annoys his wife, gets into trouble with the policeman, winds up in prison, and embarks on a long-winded escape plan involving using a string of sausages to lure in a crocodile. It’s all a bit weird, but wonderfully, bizarrely, British and very much a must-do at the seaside! The show is performed on the beach in a little booth, usually painted in red and white, with a small stage. The one in Weymouth has been there since 1880, so it’s very much a local institution. You can find it opposite the King’s Statue – and there are performances at least once a day during the holidays. Last, but by no means least, one of my absolute favourite things to do in Weymouth is to visit the amazing Nothe Fort. 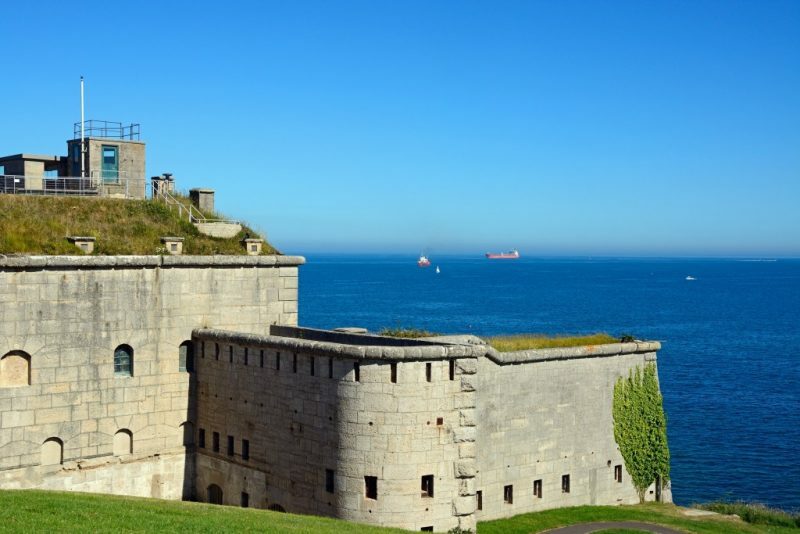 Built in 1872, this Victorian fort has seen a lot of history. It even played an important role in WWII. Today, it’s a really lovely, volunteer-run museum. You can explore the dimly lit underground passageways, and learn more about Weymouth through the ages in various exhibits. On top of the fort are a few WWII anti-aircraft guns, too. And on the 2nd and 4th Sundays of the month, you can watch uniformed Fort Artillery fire the antique canons – always an impressive event. Coastline Cruises run a daily ferry service from Portland to Weymouth during the summer months (April to October). This scenic boat cruise takes around 40 minutes, and offers a lovely way to arrive into Weymouth. There’s a departure from Portland Marina at 9:30, 11:30, and 13:30, and the last ferry back from Weymouth Harbour leaves at 16:30. A return ticket costs £11 for one adult. Check the website for up to date times and prices, or give Coastline Cruises a call on (+44) 01305 785000 to check the latest info. First Group’s run a frequent bus service between Weymouth and Portland. You want the number 1 service. The journey takes about 30-40 minutes, and there are 5-6 buses an hour, depending on the time of day. 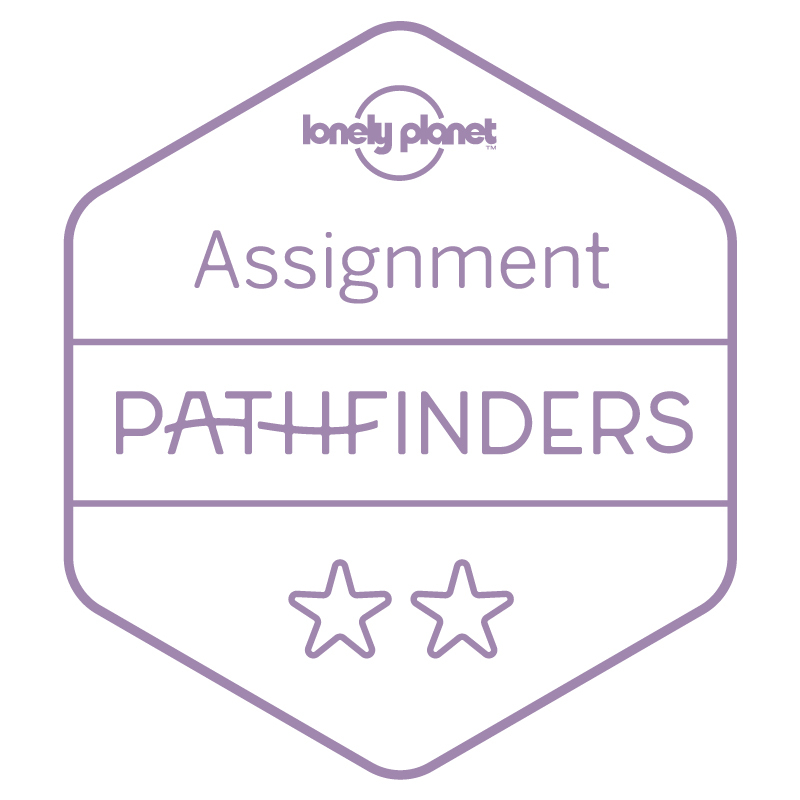 Check the timetables here. A taxi from Portland to Weymouth takes around 15-20 minutes. It will probably set you back around £10-15 depending on traffic and pick-up/drop-off points. I always use Weyline Taxis (because they’ve got the easiest to remember number!). You can call them on (+44) 01305 777777. 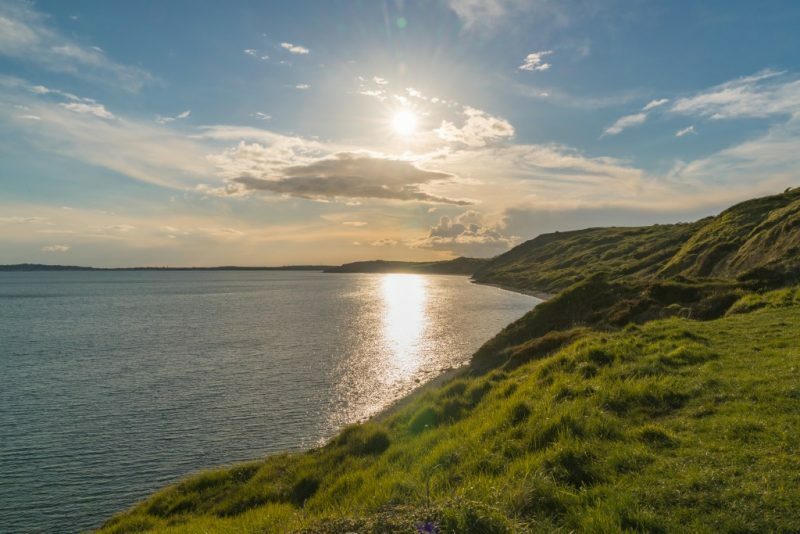 If you have more time, or you don’t fancy sticking around Weymouth and Portland, these are a few places to visit a little further afield. 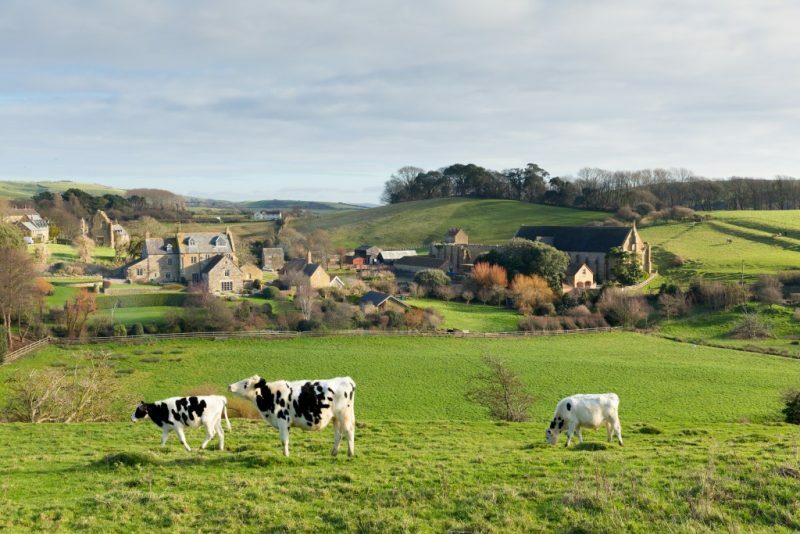 Enjoy the view from St Catherine’s Chapel on the hill above Abbotsbury. Meet the 600 mute swans at Abbotsbury Swannery. To get there, it’s a 17 minute drive, or you can hop on the X53 bus heading towards Axminster from the King’s Statue stop in Weymouth (which takes around 35-45 minutes to reach Abbotsbury). If you want to spend your day in Weymouth enjoying the Jurassic coast, a cliff walk could be just what you need. One that can easily be done in less than a few hours is the walk to Osmington Mills from Weymouth. It’s a really pretty walk along the cliff, and it ends in one of my favourite local pubs. The walk starts from Bowleaze Cove at the far end of Weymouth Beach. You might want to take a taxi to that point, or you can walk along the beach but this will take a lot longer. From Bowleaze it’s about an hour along a signposted cliff path to Osmington Mills. You’ll find a small village, a rugged stony beach with its own waterfall, and the centuries-old Smuggler’s Inn. The cove here was once a favourite spot for smugglers, and the inn was their local hangout! 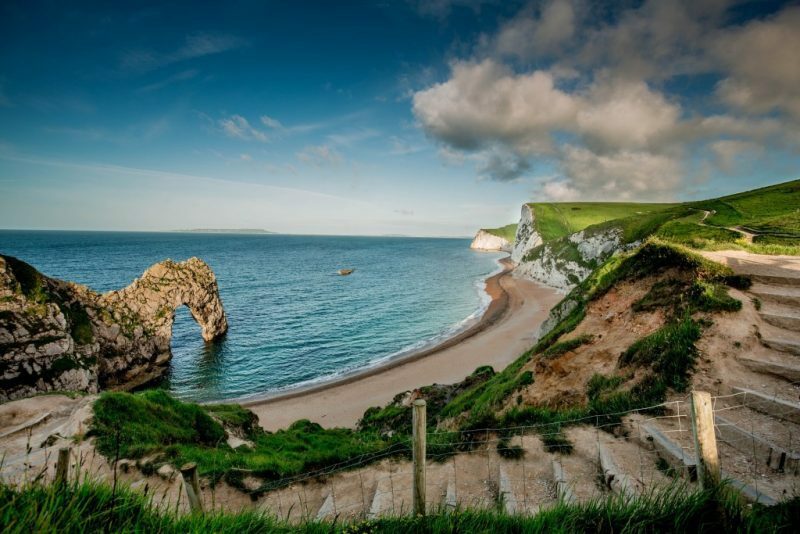 Dorset is famous for its Jurassic Coast; a 95 mile stretch of incredible coastline, with rocks recording 185 million years of the Earth’s history. And what better way to explore a bit of it, than from the water? There are a lot of companies running cruises along the Jurassic Coast from Weymouth, so I’ve listed a few options below. Snapper Charters – Sightseeing boat trips and fishing trips. Weymouth Bay Rib Charters – adrenaline-pumping RIB rides around the bay. Moonfleet Adventure Sailing – Tall ship sailing from Portland along the Jurassic coast. Sirius Charters – charter your own private vessel!